Wimbledon Lawn Tennis Museum and Tour allow visitors to explore tennis’ evolution into a multi-million dollar professional sport played worldwide: with exciting inter-actives, rare artefacts and audio guides in ten languages, the Museum showcases the artistry and athleticism that is modern tennis. See generous donations from the great players of today, the outfits of the most successful champions of the Wimbledon Singles tournament, the resident ‘ghost’ of John McEnroe, and the glittering Championship trophies. A new Virtual Reality experience opened in June 2016 giving visitors a fascinating look at the story of Wimbledon and a taste of being at the Finals at Wimbledon! The soul of Wimbledon, Centre Court, is also open to Museum visitors, but not just before, during or just after The Championships. Closed 19 May, 30 June, 15 - 16 July. 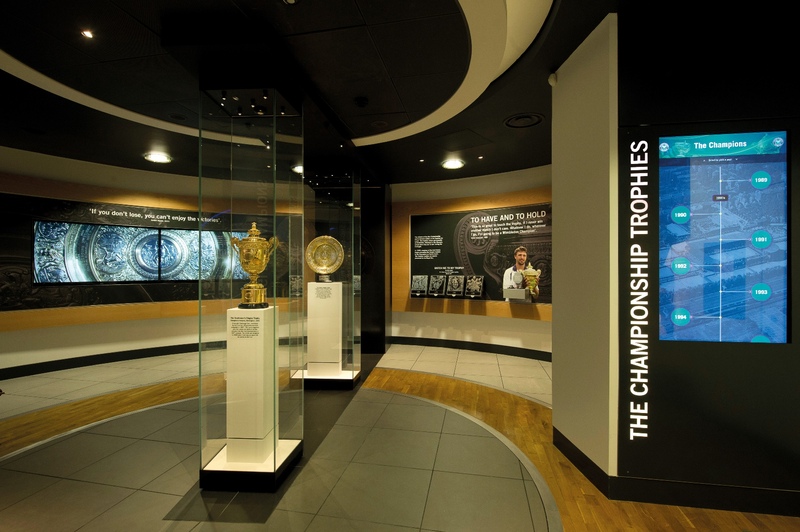 During The Championships (1 - 6 and 8 -14 July) the Museum is only available to those with Championship tickets. Closed 24 - 26 December & 1 January.